Are you in pain? A Chiropractor can help! Momentum Chiropractic Clinic is here for you, we treat a wide range of musculoskeletal conditions not only Back and Neck pain. Throughout the day your body endures a great deal, whether you are an enthusiastic athlete, in a physically demanding job or just living everyday life to the fullest. It’s only natural that your joints, bones and muscles need a little attention from time to time. We offer pain relief services for a range of symptoms, conditions and musculoskeletal disorders. For everybody who has trouble with painful joints and muscles, we can provide a personalised treatment and rehabilitation plan or training programme to speed up the healing process. After visiting many chiropractors over the years after livinig in different places Matthew is up there with the best. Appointment times are generous and nothing is rushed. Good for general spine maintanance and v good when spine locks up. I recommend Matthew. I came to the Newton Abbot clinic with several issues which are being taken care of in very professional and very friendly way. Dr. Matthew is always if great help and flexible when there's a need. Highly recommended clinic. I've been going to Matt for at least 2 years now. When I leave I am amazed the difference 30 minutes can make.Initially I went for regular sessions to get my pain & restricted movement under control. Now I book an appointment online when my pain & restricted movement become unbearable. The best thing is the time between appointments is longer.Matt, words cannot express the thanks for the improved quality of life I am now experiencing. Matthew is wonderful. He is personable and professional and I always feel better after a treatment. He doesn't give pressure to get more treatments than needed. Matt always identifies the issue and gives great advice. Genuine and honest and not just there to take your money as some are. Friendly and easy to get along with. Would highly recommend. Excellent service and treatment. Matthew is a very professional and likeable practitioner. He explains what he is doing in a knowledgeable but easy way to understand. Thank you . Very welcoming,and very professional. He explained in detailwhat was needed to to improve my condition.I found him verypersonable and easy to talk to . I have been having chiropractic treatments with Momentum Clinic for over a year now due to a shoulder injury from horse riding. The pain used to stop me from sleeping but is now so much improved and I just keep regular appointments for general maintenance! Matt is brilliant at using varied techniques and works hard to get to the root of the problem. Would definitely recommend. First appointment today. I found Matthew a pleasure to deal with. He was very thorough with his initial examination and treatment. I will be returning for weekly follow up treatments to hopefully cure my back problems.. The chiropractor knew exactly what he was doing and identified and explained the causes of my pain succinctly where other medical practitioners have not. Procedures were also explained well and what one can expect. Also a really a nice guy. Recommended. Matt has been treating me for 2 years now & I wouldn’t go to another chiropractor. He’s managed to sort out an ongoing problem that Doctors were unable to diagnose & had really been affecting my quality of Life. Since having chiropractic treatment & some acupuncture with Matt I’m in much less pain & pretty much back to normal. Im certainly much happier & have a better understanding of what was causing my condition. I wish I’d seen Matt so much sooner.Matt is good at putting you at ease & explaining things, I’ve had to have some pretty personal conversations with him! Highly recommend. Since my first visit a year ago when Matthew sorted out my lower back problem I have had a few sessions to keep me supple which have helped me to carry on with life. He is very kind and approachable so that there is a very relaxed situation. The rooms etc are very clean and the parking has always been easy which is so important. Looking forward to my next gentle manipulation to get me in shape for a holiday. I would highly recommend Matt as a chiropractor. Matt is very friendly and makes you feel very at ease and he’s worked wonders with my neck. My husband also sees him and Matt keeps him from seizing up altogether!! Our family highly recommend Momentum Chiropractic Clinic. Matthew Wright is one of the best Chiropractors we have ever used. Knowledgeable, professional and consultative, Matthew uses a wide range of skills and techniques to help with anything that we throw at him  The website and on line booking systems are really helpful - a few clicks and you can book your appointment without the usual endless phone calls. We highly recommend the clinic and Matthew is a genuinely "cracking" bloke! Easy to book an appointment. Friendly and professional service and excellent value for money. Only offers treatment when he considers it is going to be effective. Would highly recommend. I’ve been using the momentum clinic regularly for approximately 3yrs to keep my neck and shoulders supple. Before my first visit I was very sceptical like most people are but Matthew seems to know exactly where the problem is without being told. Matthew is a very amiable bloke who allways has a chat with me. I have been visiting Chiropractors for 10 years, both in the UK and Australia. Matthew is the extremely knowledgable and has helped me where Medial 'Professionals' have mis-diagnosed me. I wouldn't trust my spine with anyone else. Brilliant chiropractor, been to several in Newton Abbot. Not only did he explain what the problem was, he went through a treatment plan and explained everything in detail. Really easy to book online as well! Been seeing Mathew for a while .he definitely made a difference to shoulder pain I was getting .have also recommended 2 friends to see him and they are very happy too . Seen other chiropractors in the past but never felt they’ve really got to the bottom of my neck & back pain, I made an appointment with Dr Matthew Wright on the recommendation of a friend & I couldn’t be happier with the results! Wish I’d booked to see him sooner instead of putting up with the aches & pains for so long. Thoroughly recommend. I go to Matt at Momentum on a regular basis and my life has much improved. I can do so much more then I used to. I have visited several chiropractors over the years and find Mathew the best by far with his wealth of knowledge.Also good value for money as most charge for the same amount of money but only get 15 minutes but with Mathew you get 30 minutes.Highly recommened. Matthew is always friendly, informative and helpfull. I have been going to him for over a year and would highly recommend. 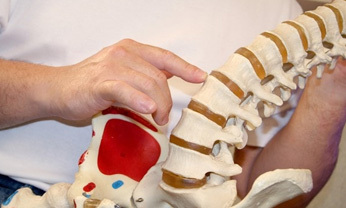 Your initial consultation at Momentum Chiropractic Clinic will take approximately an hour. On arrival at the clinic you will be taken to a private room and the chiropractor will then gather details of your presenting complaint. You will then undergo a full physical examination to determine a diagnosis; we will then discuss treatment options. Once you are happy with a treatment plan you are then ready for your first chiropractic treatment. For more information click here. We use a modern, evidence based approach and create personalised treatment plans, with the focus on the patient as an individual. We aim to help patients make informed decisions about their health and provide information on how to keep fit and healthy. To find out more about the techniques we use click here. Chiropractic treatment is an option suitable for many musculoskeletal injuries, it is non-invasive and drug free. Chiropractors help your body to help itself by removing the barriers to your recovery. A chiropractor can help people of any age, shape or size, from a new-born baby to the elderly. If the spinal joints have restricted movement, it can create an interference between the brain and the body which can lead to many forms of body dysfunction and potentially pain.